There is nothing I love more than being out on the water. Ever since I was a child, I loved water sports of all kinds. About five years ago, I was at an all-inclusive Sandals resort in St. Lucia. They had every water sport you could imagine. So what did I do, I tried them all and I fell in love with a Hobie Cat, we ended up taking it out every day we were there. 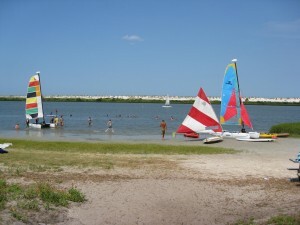 I was reminiscing about that trip recently and decided my husband and I needed to rent a Hobie cat. It was a beautiful 86° day with a wonderful breeze and clear blue sky. We couldn’t have asked for a better day to sail up and down Salt Run. 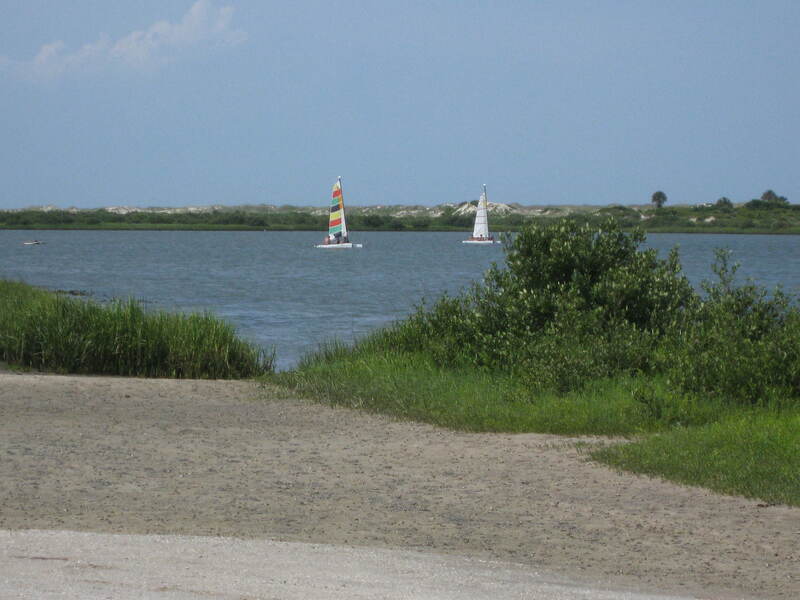 The scenery there is spectacular, you can sail up to the lighthouse and back down Salt Run with a view of pure white sand dunes and lush green marsh speckled with magnificent wading birds. the day I was there, there were several species of Egret and Herons. The warm water, gentle breezes and beautiful scenery transported me back to the day of my first Hobie cat ride in St. Lucia. 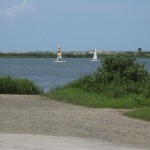 Sailing out of Anastasia Watersports in the state Park makes you feel like you’re on a tropical island. 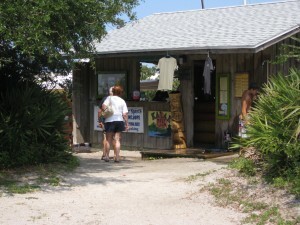 The staff at Anastasia water sports is friendly, knowledgeable and accommodating. If you’ve never sailed or kayaked before or used a paddleboard for that matter, they will give you a lesson and get you comfortable before sending you out with all the gear you need. Their mission is that everyone has a good time and a great experience and they certainly accomplished that for me. You do need to pay to get into the State Park, it’s eight dollars per car. I personally feel it’s well worth it (see my review of the park) The Park has beautiful unspoiled beaches and gorgeous sand dunes. It has public restrooms, showers and a place to buy food and snacks. It has beautiful, covered picnic areas including a hilltop picnic area under a gazebo that’s very private and grills. 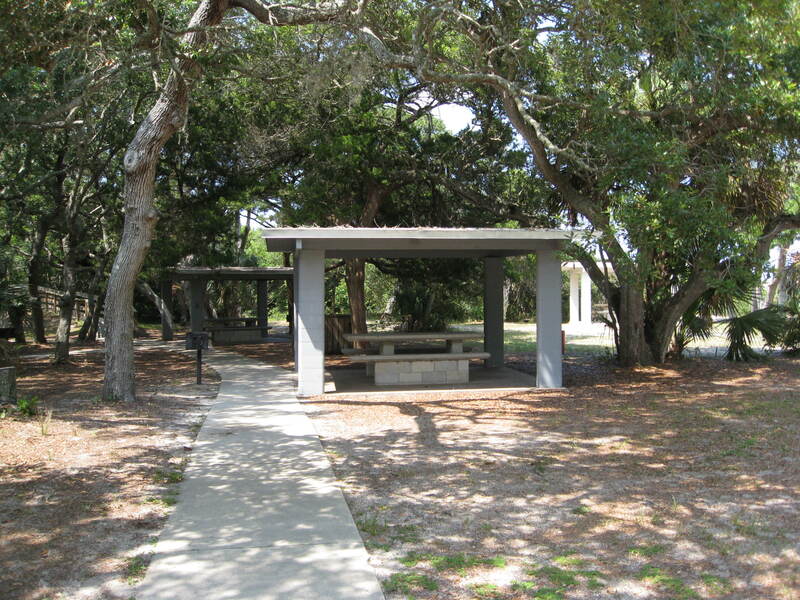 there are plenty of old cedar trees to provide you with shade and gentle breezes to keep you cool. All in all I think no matter what you decide to rent at Anastasia Watersports you will be glad you did. We can’t wait to go back and jump on a couple of stand up paddle boards.